Who are the real power brokers in Africa? Who are the dynamic entrepreneurs making things happen on the continent? How did they do it and what are their personal stories? 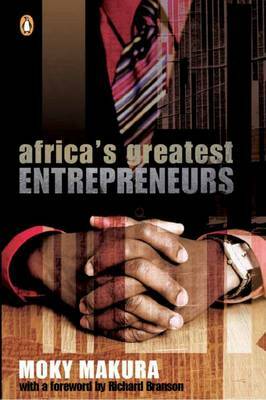 Africa's Greatest Entrepreneurs is a unique collection of stories about 16 of the most successful entrepreneurs and business visionaries currently operating in Africa. Each chapter is dedicated to a single entrepreneur and focuses on a sometimes tumultuous, often challenging, but mostly exciting journey to success. This fascinating and well-researched book examines the life of each entrepreneur and maps out the path each elected to follow in tackling and overcoming the obstacles that stood in the way of the realisation of their dreams. Meet, among others, Kagiso Mmusi, the Motswana transport millionaire; Richard Maponya, the South African retail giant behind Soweto's Maponya Mall; Kwabena Adjei, the rags-to-riches Ghanaian millionaire; Wale Tinubu, the Nigerian head of the Oando oil and gas giant; Ndaba Ntsele, the South African king of high finance; and Mo Ibrahim, the Sudanese-born telecoms millionaire. Each story is inspiring and informative in its own unique way. Makura sheds light on the different historical, political and economic power structures that helped create - and in some cases frustrate - these business heroes. The book shines the spotlight on and provides an unprecedented insight into a new breed of African hero - some of whose stories have never been told until now.